Even with regular washing kitchen dishcloths can develop an odor. But, there is a simple hack you can use to help you remove those smells! This is a simple way to save money by cleaning rather than replacing. I wash them in hot water every time they are laundered and never use fabric softener nor do I let them sit in the machine. Of course, I use color safe bleach as I can’t use chlorine (as mine are red). But it doesn’t seem to matter. After a couple of months, they are almost too disgusting to want to use in my kitchen anymore. In the past, I had just resolved myself to realize that I had to deal with this and there was not much I could do. I tried something new, just to see if it would work, and to my surprise – it did! Here’s how I was able to extend the life of my kitchen rags. Why do kitchen rags smell? 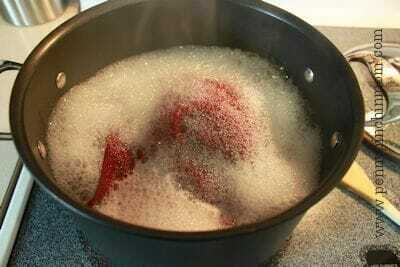 If you can use chlorine bleach on your dishrags, you often never have to worry about a build-up or odor. However, with the bright vibrant colored cloths that many of us have, this type of cleaning method is not an option. Even with regular washing rags, can smell due to a build-up of detergent and fabric softeners. And, if the food is not properly rinsed before washing, even the best detergent can’t remove the smell entirely. After time your rags will be smelly, even after they come out of the washing machine. But, there are things you can do to not only combat this but fix it when it happens. The idea is to stop the smells before they start. There are a few things you can do to help keep the odors at bay. Yes. This means every time. A few minutes of running them through the hot water will flush out remaining food that can quickly create a stink. This can create a build-up which can retain the smell longer. Replace your rag every morning or night. Never use one longer than 24 hours. The hotter the water, the cleaner the rag. Check your machine and wash your kitchen rags and towels on the hottest setting your machine offers. Odors can re-develop if they sit in a warm machine while still wet. Toss them directly into the dryer and dry on the hottest setting for at least 30 – 45 minutes. A simple bit of vinegar can help flush out the odors and build-up on a regular basis. There are different enzymes which break down and can help to strip the rags clean of stains and odors. 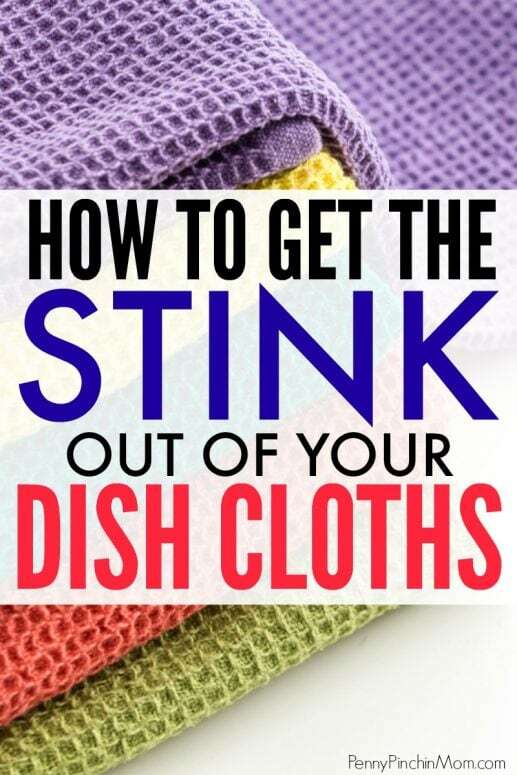 Even if you do everything right, you might find your dish cloths just can’t stay clean any longer. That means you may need to strip them. This is an easy process that takes around 10 – 15 minutes. Fill a large pot about 1/2 – 3/4 full of water. Add in around 1 – 2 tsp of Dawn dish soap and 1/2 cup of vinegar. Place 2 – 3 rags into the water. Bring it to a boil for around 15 minutes, stirring occasionally. Once you are done, drain off the excess water and lie the rags flat to cool in the sun (if you can). Launder them as usual in your machine – making sure to use hot water. Once done, they should be as good as new! I use microfiber cloths for dish cloths and they never develop an odor. Kill all germs, bacteria, and odors by wetting the entire towel or cloth, wringing out, then placing loosely in microwave and zapping on high for 3 min. Launder as usual. This is the only reason we have a microwave- ours is in our laundry area.